Recently, a frozen pipe burst in the basement of Stephen King collector Gerald Winters, allowing for gushing water that destroyed a number of original King manuscripts. It wasn't the first time freezing temperatures allowed for property destruction, and it certainly won't be the last. When supply lines freeze, the ice has no room to expand, causing water pressure to build up between the blockage and the closed faucet. When it bursts, the damage can be significant. New Orleans-based CBS affiliate WWLTV recently shared steps from the American Red Cross that homeowners can take to minimize their risk of a winter disaster. If you have pipes that are located near exterior walls prone to cooler temperatures or in uninsulated areas of your basement, try letting a small trickle of cold water run through household faucets. The continuous movement of the water will prevent the line from succumbing to pressure. You can also buy insulation or heat-capturing foil tape from a local hardware store. Keeping pipes insulated will help them retain heat in winter and prevent them from "sweating" in summer. 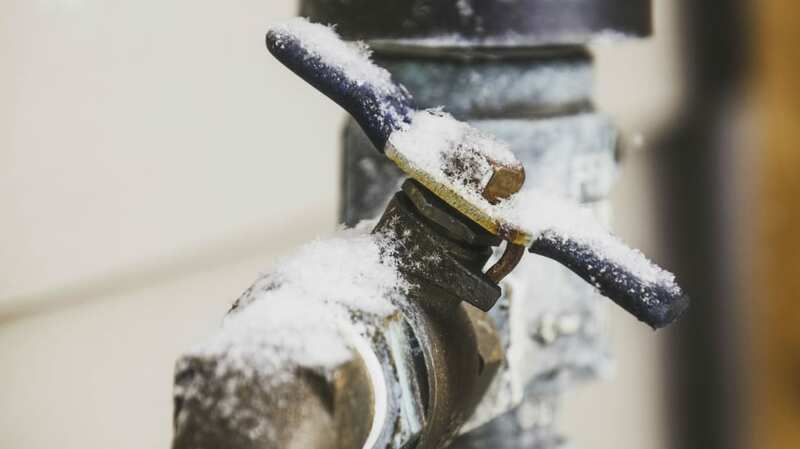 If the worst happens and you come home to a frozen line—you'll know because the faucet won't be working—then you'll have to thaw out the pipe before it has a chance to burst and cause water damage. With the faucet running, find the source of the blockage by looking at the supply line for frost or bulging; apply heat to the affected pipes with a space heater, hair dryer, or some hot towels. If fate has dealt you a truly bad hand and you discover that a pipe has burst, you'll need to act quickly: Broken pipes can dump more than 250 gallons of water a day. Know the location of your main incoming water line and turn it off, then head for the phone to notify a plumber. There's not exactly a set temperature where you should be more concerned about a frozen pipe. Even at higher temperatures, a pipe's location and incoming cold snaps can cause problems. Seal cracks in walls near pipes if you can, and consult with a professional about rerouting pipes if they're in a problem area. With a little foresight, you can prevent a king-sized (or King-sized) disaster.